Atlantic Health System is proud to have a multi-year partnership agreement with the New York Jets. Not only are we the “Official Health Care Partner of the NY Jets,” we are also the naming partner of the team’s corporate headquarters and training facility – the Atlantic Health Jets Training Center – a state-of-the-art complex located in Florham Park, NJ. In addition, Atlantic Health System is the title sponsor for the Jets Women’s Organization – a group that works with charities and is dedicated to volunteering in the tri-state community. This organization is comprised of the wives, fiancées and significant others of Jets players, coaches and select football support staff members. Several of our Atlantic Sports Health program doctors are also New York Jets physicians. When Harold Arnold suffered a severe heart emergency, the cardiac surgery team at Morristown Medical Center quickly replaced Harold’s aortic valve with a minimally invasive approach, while another team performed cardiopulmonary resuscitation (CPR). Today, he is more active than he was before, enjoying long walks and day trips with his wife, as well as managing his pizzeria. On Sunday, November 25, Harold served as the honorary captain for the coin toss prior to kickoff of the New York Jets vs. New England Patriots game. 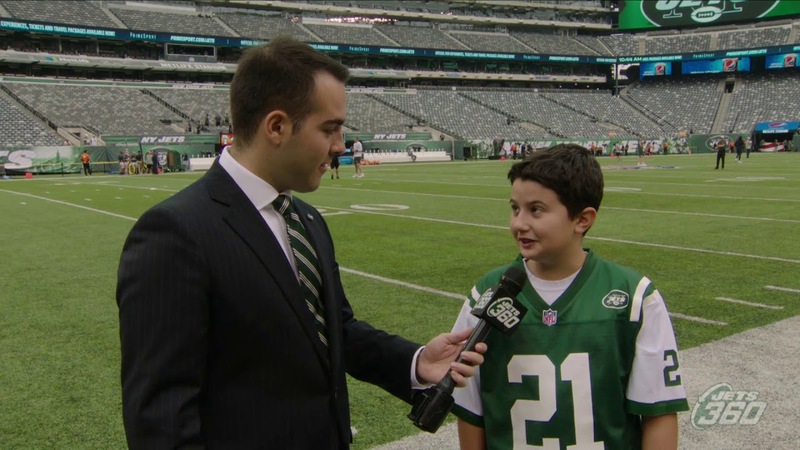 Thanks in part to the the NFL and the American Cancer Society's Crucial Catch platform, four children who are undergoing or have completed cancer treatment at The Valerie Fund Children's Center at Goryeb Children's Hospital served as honorary captains for the coin toss at the Jets game on October 7, 2018. In addition, one patient who couldn't attend the game due to treatment got to experience being on the sideline for pre-game warm-ups through the use of Atlantic Health System's VGo Robot technology. 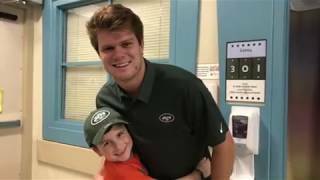 Sam Darnold, the New York Jets' first round draft pick, certainly didn't waste a moment in giving back to his new community. On the Saturday following the draft, he made his “first big play" with the team, joining former Jets fullback Tony Richardson for a special draft party at Goryeb Children's Hospital. Darnold spent more than an hour visiting with the children and their families, signing autographs, taking pictures and making some very special memories with parents and team members. Meanwhile, in New York City, Dr. Walter Rosenfeld, Dr. Steven Halpern and three additional patients and their families helped Jets Legend Marty Lyons announce the team's fourth round pick at the Intrepid.